Check out the promo pics, video, Sneak Peeks and Synopsis of Laura's appearance on CBS's Supergirl from Monday's new episode, "Solitude". 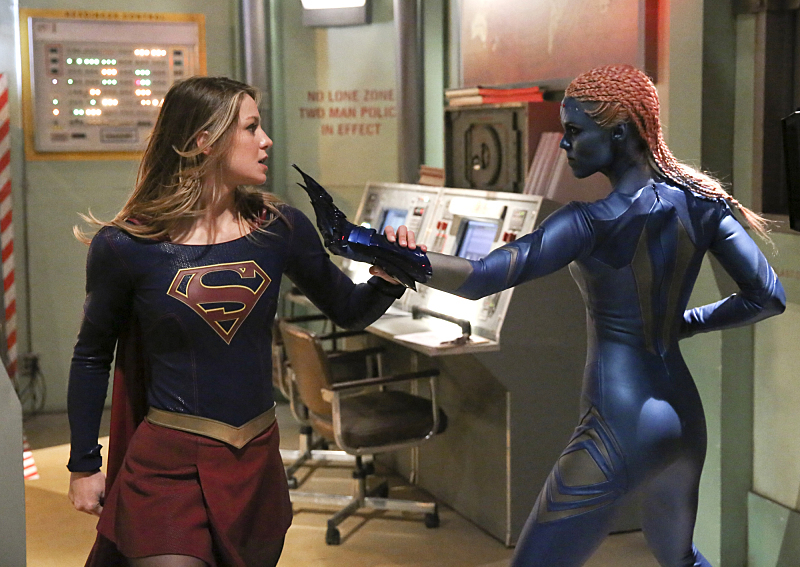 Synopsis: Kara travels to Superman’s Fortress of Solitude in hopes of learning how to defeat Indigo (Laura Vandervoort), a dangerous being who can transport via the Internet and who has a connection to Kara’s past. Also, James’s relationship with Lucy reaches a crossroads, on SUPERGIRL, Monday, Feb. 29 at 8:00-9:00 PM, ET/PT on the CBS Television Network.